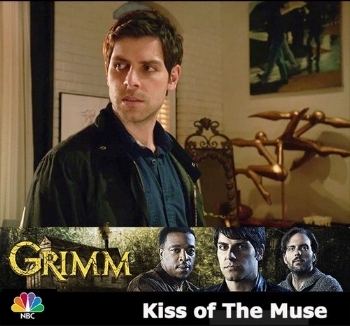 David’s Gemini sculpture appeared in an episode of the NBC TV series Grimm.. 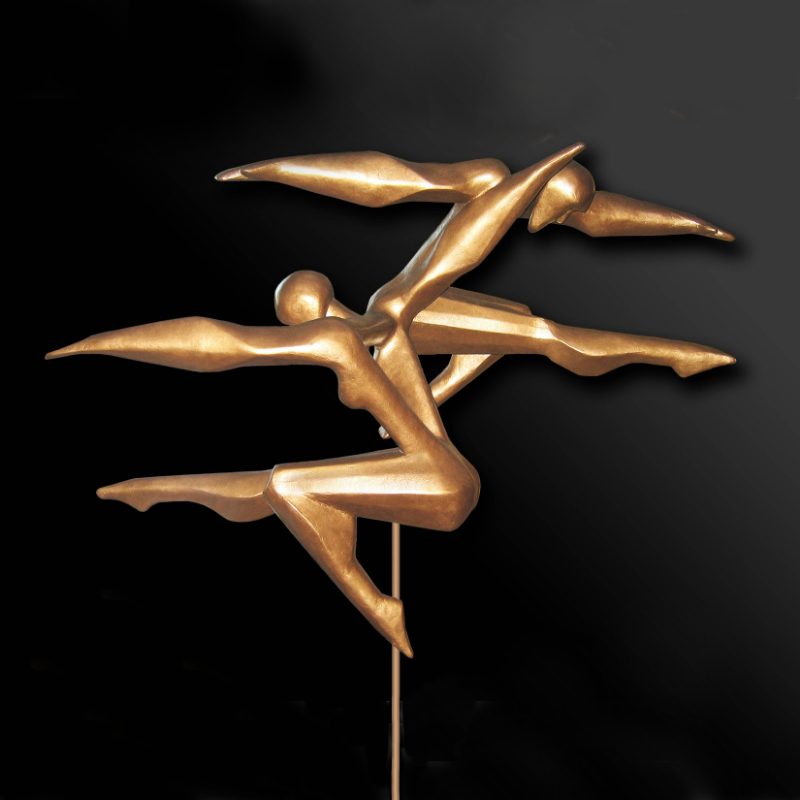 The twin ballet dancers form a dynamic pose in the Gemini sculpture by David Rosenzweig. 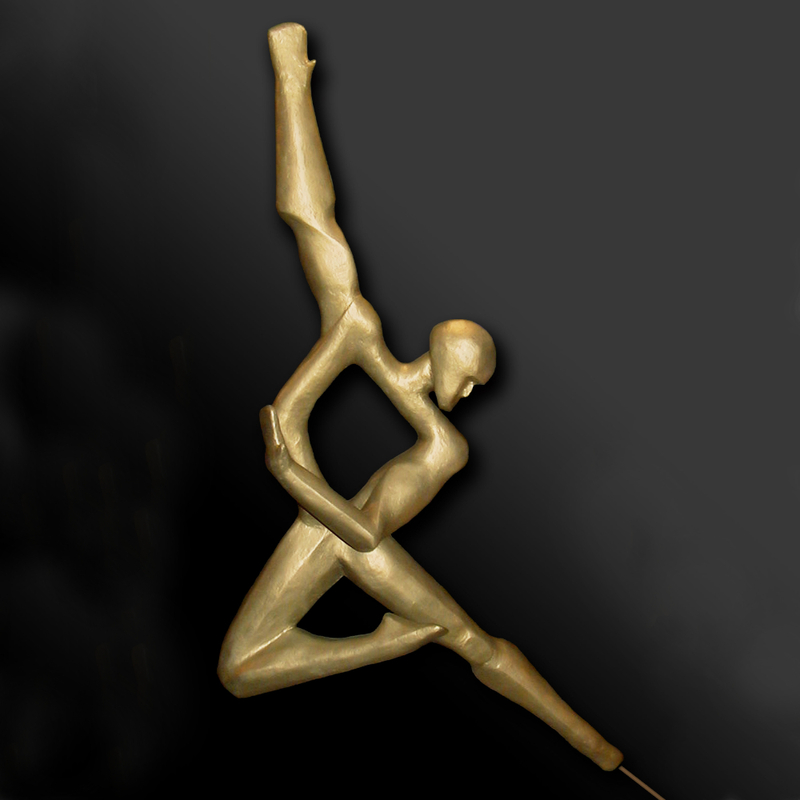 A figure of a male ballet dancer forms an elegant gesture in the Europa dance sculpture by David Rosenzweig. 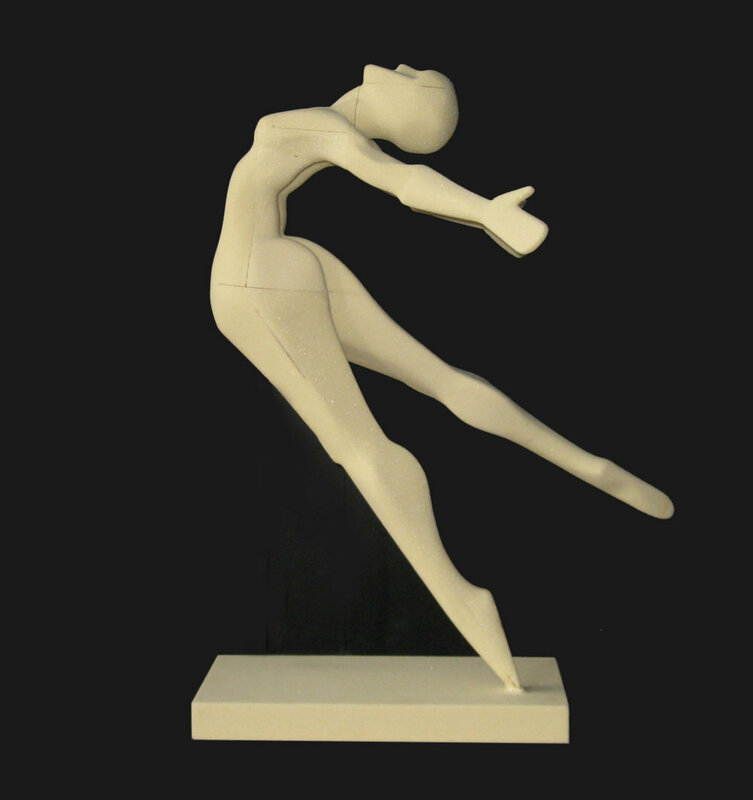 A female ballet dancer appears to take flight in this vibrant pose of the Iris dance sculpture by David Rosenzweig. 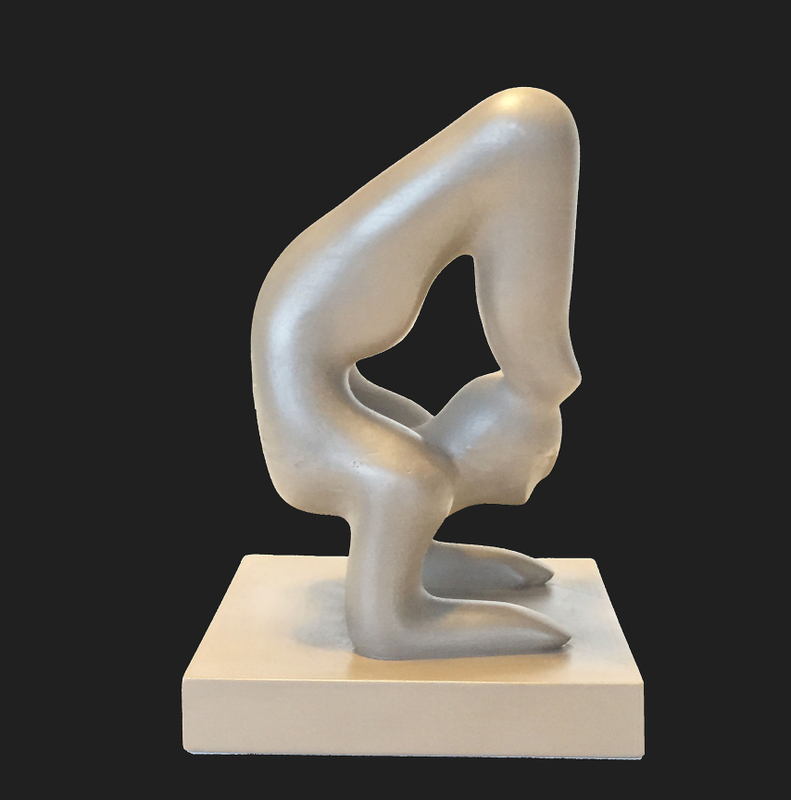 A female yoga figure that calms the nerves in vrishchikasana or Scorpion pose in this yoga sculpture by David Rosenzweig. Maintaining the kapotasana pose is this female yoga figure, as she becomes in touch with the world in the Pigeon yoga sculpture by David Rosenzweig.